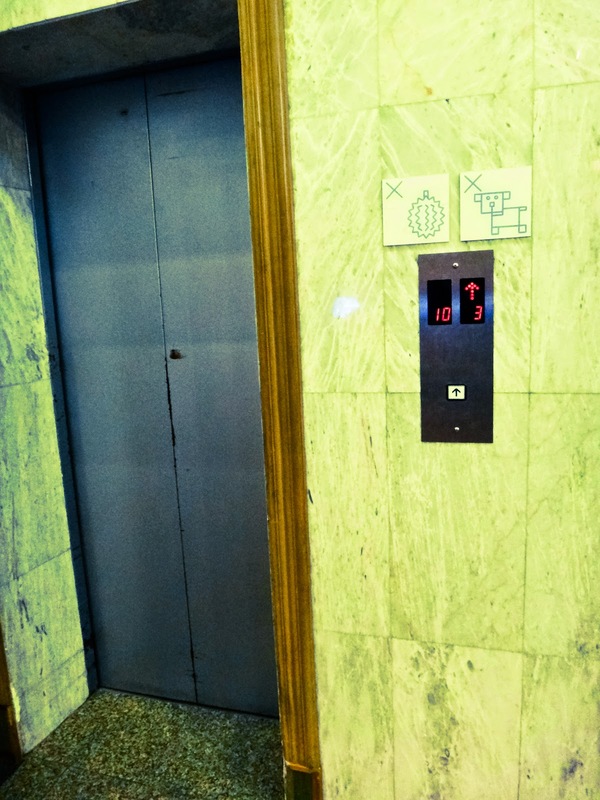 What does that funny little sign next to the elevator mean? It was inconspicuous and normal to me, and I paid it no attention. 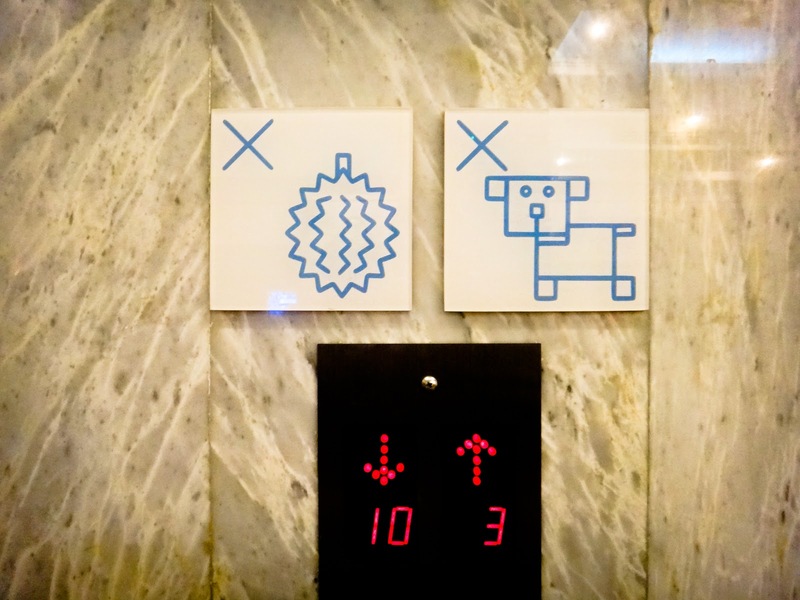 Until the woman in the elevator said to me, "I just don't know what that other thing beside the dog is. A loofah? Are we not supposed to bring loofahs on the elevator?" "Oh, that means durian," I said to her. "You can't bring durian into the hotel." "What? Stinky fruit? I haven't heard of that. What does it smell like?" "Uh...it's stinky and the smell carries a long way, so they don't want it in the hotel. You'll have to look for it in the market. Give it a try," I smiled. She wasn't looking like she was feeling adventurous enough to try a fruit that is so stinky it's not allowed in hotel elevators. I guess I don't blame her, though I know there are some durian connoisseurs out there. I would have thought it was a grenade :| Duh.